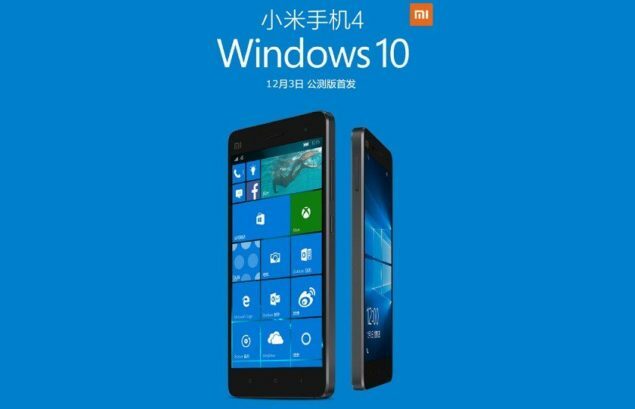 Windows 10 for Xiaomi Mi 4 handset is coming later this week, the Chinese manufacturer has confirmed. Xiaomi is a key player in the smartphone market and has seen massive success in China, all thanks to its low cost handsets when compared to the big guns such as Samsung, and of course, Apple. The sole focus of Xiaomi, when it comes to the operating system which drives its handsets, is Android, but if you look back a few months, then you will be able to recall that Xiaomi and Microsoft announced a partnership in which the software giant would bring Windows 10 to Mi 4 users, and now, the Chinese smartphone manufacturer has confirmed that it will indeed do so later this week. The interesting thing to note her his that the Xiaomi Mi 4 is a pure Android handset and doesn’t run anything else out of the box. But all that is about to change later this week, as Xiaomi will go ahead with the public release of Windows 10 for phones for its Android powered handset. There are a lot of details that are sparse at this moment, or more specifically, whether the Mi 4 would be able to dual boot Android and Windows 10, or whether it would be a ‘one OS only’ affair for users. The ideal situation involves being able to dual boot both the OSes at a moment’s notice, but of course, there’s a high chance that such a thing might not make the cut come release day. But we’ll see. Windows 10 for mobile devices is Microsoft’s biggest bet to boost its mobile ecosystem, and for the first time ever, we’ll see a good tie between desktop and mobile both, allowing users to seamlessly switch between the two. Apart from that, Windows 10 for mobile features Continuum, which essentially turns your smartphone into a full-blown desktop computer when connected to necessary external hardware. But it remains to be seen whether or not the Mi 4 will also be able to pull off such a feat when Windows 10 is rolled out for it. Our gut feeling suggests that it won’t be, after all, Microsoft would want to reserve such a feature for its very own flagship handsets – the Lumia 950 and the Lumia 950 XL. 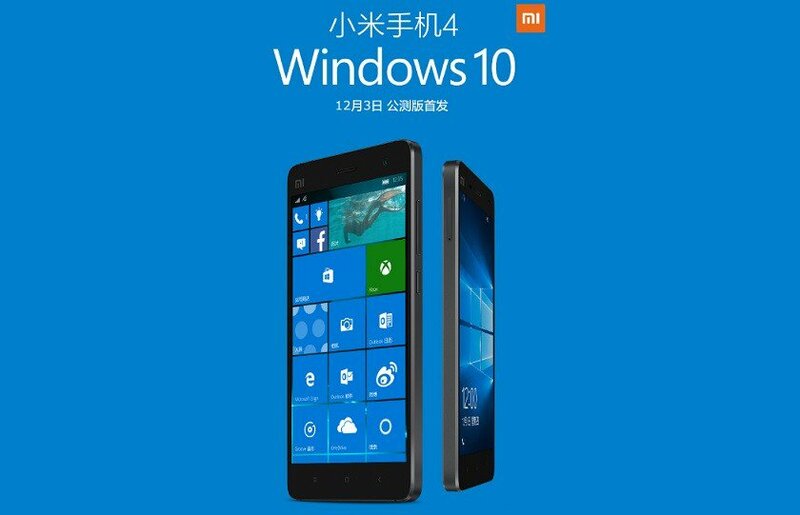 Are you excited about Windows 10 coming to the Xiaomi Mi 4? Be sure to drop your thoughts about it in the comments section below. And also, we will update our users when Windows 10 is ready for download for the Mi 4.